When I started paying bills as a young adult, I needed a system. I wanted a simple budget tool to use without a fancy computer program. I bought myself a 12 column ledger and the rest is history. It’s easy to see and track finances on real paper! 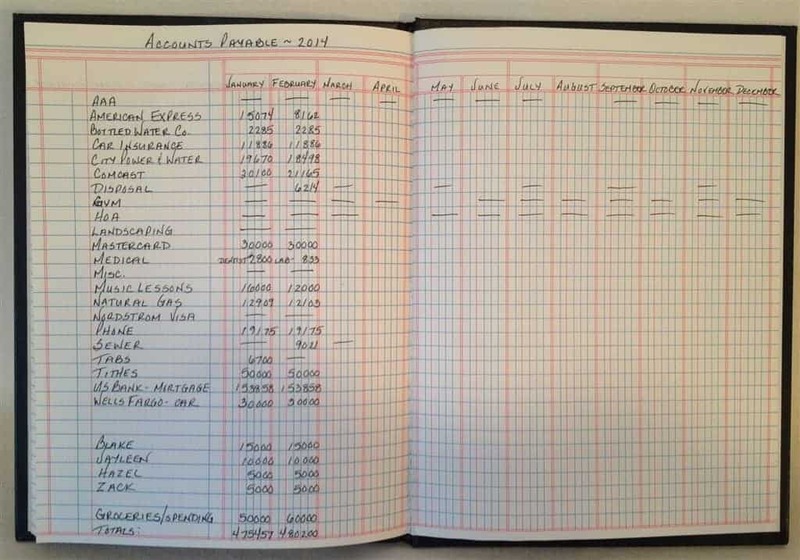 One ledger holds many years and makes it easy to look back and track your finances! I started this ledger journey in 1992 and am working on my second ledger book now. It worked great then, when bills were sent by mail, and it works just as good now with online banking! 1) Write ‘Accounts Payable – Year’ at the top. 2) List all of your recurrent bills down the left column (I start out in alphabetical order simply so it’s easier to find what I’m looking for). *Tip: Put a paper clip on your current year to find it easily! 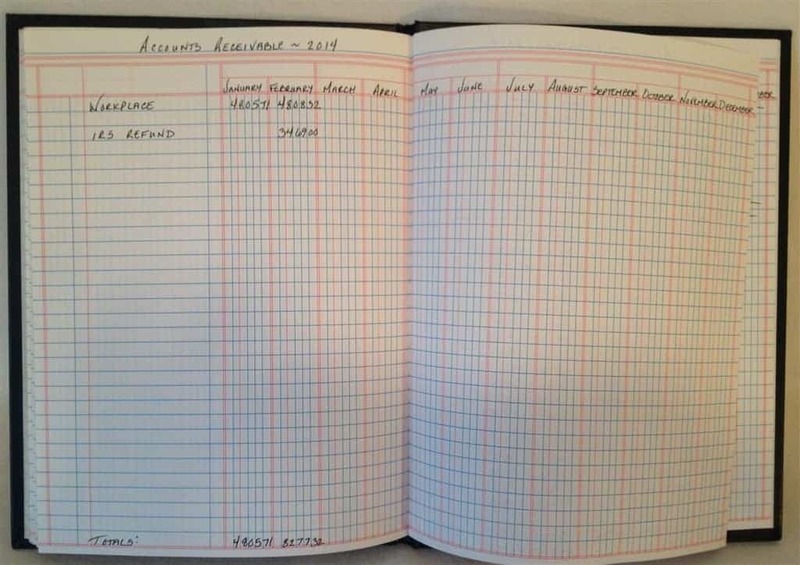 4) Turn the page and write ‘Accounts Receivable – Year’. 5) List your employers or whomever you receive money from down the left column. Now you are ready to roll! Each time you pay a bill, write the amount in the appropriate column. It’s easy to see at a glance what has been paid and what is outstanding. You can also clearly see when once a year bills are coming up and plan for them. It’s the simplest budgeting tool I know! When budgeting, take a look back and predict about how much you will need for incoming bills and budget for the month accordingly. At the end of the month, add up your accounts receivable and accounts payable columns and compare, did you live on less than you earned?